Warner Brothers was in at the beginning of the first horror cycle with DR. X and MYSTERY OF THE WAX MUSEUM , both starring Lionel Atwill. The studio concentrated more on their gangster flicks, Busby Berkeley musicals, swashbuckling epics, and the occasional highbrow films with George Arliss and Paul Muni, but once in a while they’d throw horror buffs a bone: Karloff in 1936’s THE WALKING DEAD, ’39’s THE RETURN OF DR. X (no relation to the original, instead casting Humphrey Bogart as a pasty-faced zombie! ), and a pair of scare comedies from ’41, THE SMILING GHOST and THE BODY DISAPPEARS. 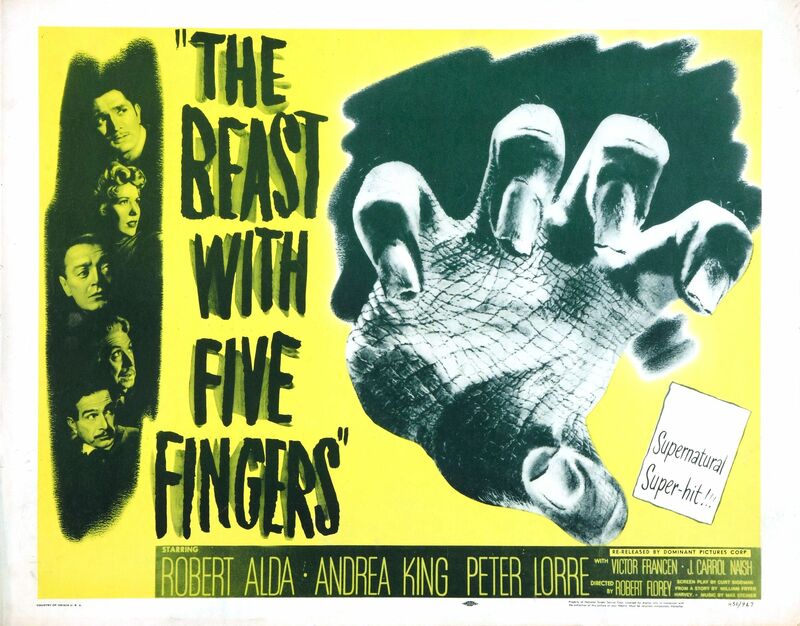 Come 1946, Warners took another stab at horror with THE BEAST WITH FIVE FINGERS, a psychological thriller about a dead pianist’s crawling hand out for murderous revenge… well, sort of. 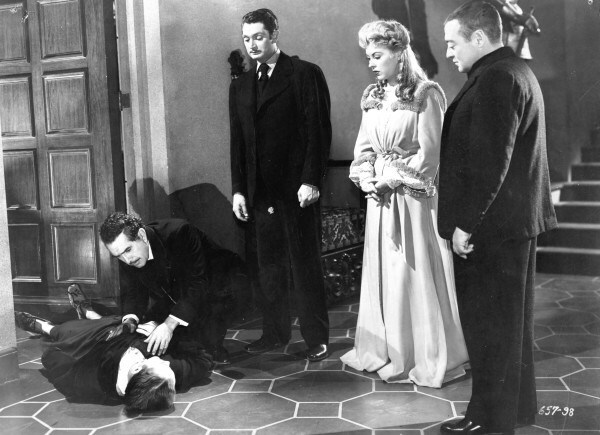 The movie was assembled by a host of horror vets, directed by Robert Florey (MURDERS IN THE RUE MORGUE ), written by Curt Siodmak (the man who brought THE WOLF MAN to life), and headlined by the great Peter Lorre as a pop-eyed astrology nut. It’s even got a score by KING KONG’s Max Steiner, yet despite all this terror talent going for it, THE BEAST WITH FIVE FINGERS isn’t quite the classic it should be. 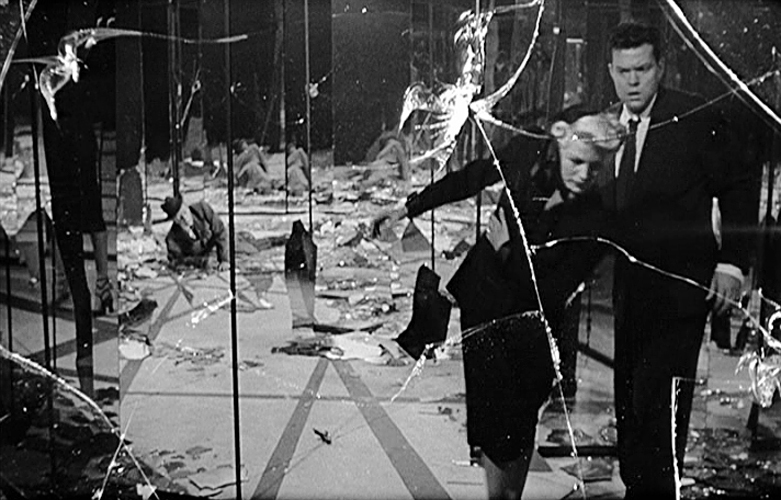 It’s eerie and atmospheric, but the seemingly tacked-on comic ending almost ruined the good will haunting for me. The story: In a small Italian village, Francis Ingram, a paralyzed concert pianist, assembles his closest acquaintances together to attest to his sanity as they cosign his last will and testament. They include hustling American ex-pat Bruce Conrad, who adapted symphonies to fit Ingram’s one-handed playing, nurse Julie Holden, with whom the elderly musician is in love, sycophant and astrology buff Hillary Cummins, nephew Donald Arlington, and lawyer Duprex. When Hillary informs the old man that Julie is planning to leave him for Bruce, an angered Ingram tries to strangle him. Later, on one of those dark and stormy nights familiar to horror fans, Ingram tumbles down the staircase in his wheelchair to his death. The best scene comes when Lorre bugs out upon being visited by the hand, richly enhanced by Steiner’s score. Peter’s at his stark, raving mad best in this movie, his last for Warner Brothers, and though I won’t give away any secrets for those who haven’t seen the film, suffice it to say our boy Lorre does a fantastic job in his role. 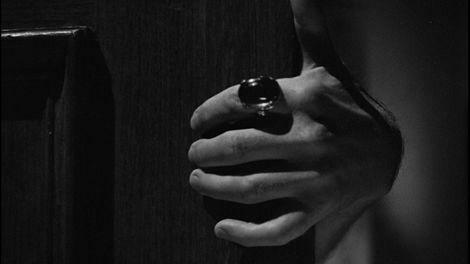 Robert Alda (Bruce) is glib but good; he’d later have “hand” problems of his own in 1961’s THE DEVIL’S HAND. Andrea King (Julie) was a Warners contract player whose only other genre credit was 1952’s RED PLANET MARS. Victor Francen (Ingram), John Alvin (Donald), Charles Dingle (Raymond), Gino Corrado, Pedro de Cordoba, and Ray Walker also appear. J. Carrol Naish plays the Commissario, and is the one who gets the dishonor of spoiling the fun with that “comedy” end bit. Naish, a master dialectician and two-time Oscar nominee (SAHARA, A MEDAL FOR BENNY), was no stranger to horror; fans know him as the hunchbacked Daniel in Universal’s all-star HOUSE OF FRANKENSTEIN . Among his chiller credits are two Lon Chaney Jr/Inner Sanctum entries (CALLING DR. DEATH, STRANGE CONFESSION), DR. RENAULT’S SECRET, THE MONSTER MAKER, and JUNGLE WOMAN. Naish’s final role was in Al Adamson’s DRACULA VS FRANKENSTEIN, reuniting him with old costar Chaney for one last horror hurrah. Besides my griping about the silly denouement, THE BEAST WITH FIVE FINGERS is worth your time. The good points (direction, music, Lorre’s performance, the cool special effects) far outweigh the one bad. As for Warner Brothers, horror aficionados would have to wait another seven years before they returned to the genre, but it was worth it… Vincent Price in the 3D shocker HOUSE OF WAX! Andrea King went to do 1965’s HOUSE OF THE BLACK DEATH with Chaney and Carradine, and 1973’s BLACKENSTEIN with Lon’s former Hawkeye John Hart. Truly a film with plenty of pedigree and yes whilst the ending is a little off kilter, it’s still a fun film overall. 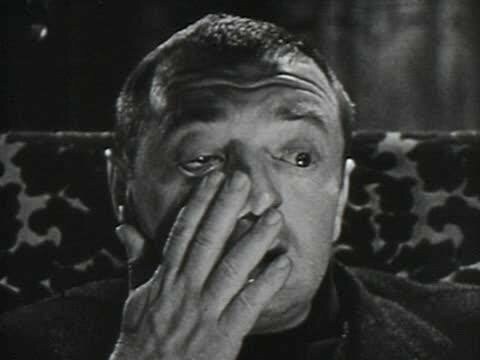 Peter Lorre alone is worth it! Thanks for a great review!